goes off running with the rabbit. and then tosses them and starts running with the rabbit and giraffe. 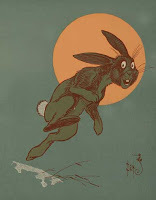 the hell out of the little rabbit. "Lion, why did you do this? He was merely trying to help us all!" Hours every time he's high on cocaine! "